The Microstirrer takes the place of the stirring bar that is typically used with a laboratory magnetic stirrer. The new Vernier Microstirrer easily attaches to the end of a pH Sensor, Conductivity Probe, Dissolved Oxygen Probe, or Ion-Selective Electrode. 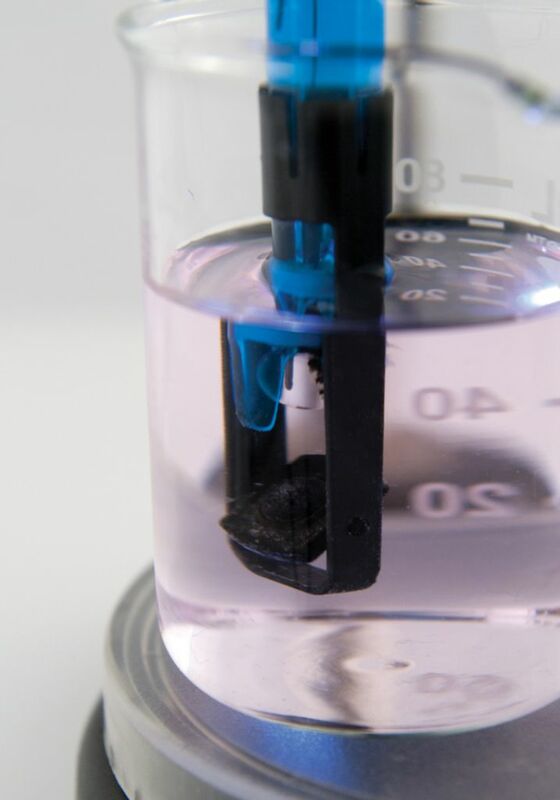 When the magnetic stirrer plate (required, but not included) is turned on, its magnetic field turns the paddle wheel of the Microstirrer, resulting in enhanced stirring near the electrode tip. The Microstirrer works with any magnetic stirrer.